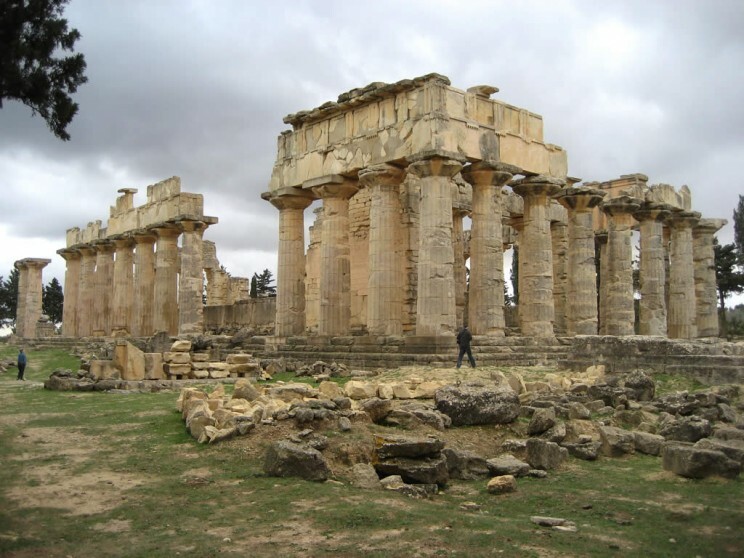 For over 2,000 years the civilizations of ancient Greece and Rome have captivated our collective imagination and provided inspiration for many aspects of our lives, from culture, literature, drama, cinema, and television to society, education, and politics. With over 700 entries on everything and anything related to the classical world in the Oxford Companion to Classical Civilization, we created an A-Z list of facts you should know about the time period. Alexander the Great: He believed himself the descendent of Heracles, Perseus, and Zeus. By 331 he had begun to represent himself as the direct son of Zeus, with dual paternity comparable to that of Heracles. Baths: Public baths, often located near the forum (civic centre), were a normal part of Roman towns in Italy by the 1st century BC, and seem to have existed at Rome even earlier. Bathing occupied a central position in the social life of the day. Christianity: By the end of the 4th century, Christianity had largely triumphed over its religious competition, although a pagan Hellenic tradition would continue to flourish in the Greek world and rural and local cults also persisted. Democracy: Political rights were restricted to adult male Athenians. Women, foreigners, and slaves were excluded. An Athenian came of age at 18 when he became a member of his father’s deme and was enrolled in the deme’s roster, but as epheboi, most young Athenians were liable for military service for two years, before at the age of 20, they could be enrolled in the roster of citizen who had access to the assembly. Full political rights were obtained at 30 when a citizen was allowed to present himself as candidate at the annual sortation of magistrate and jurors. The goddess Juno. Photo by Carole Raddato. CC BY-SA 2.0 via Flickr. Education, Greek: Greek ideas of education, whether theoretical or practical, encompassed upbringing and cultural training in the widest sense, not merely school and formal education. The poets were regarded as the educators of their society. Food and drink: The Ancient diet was based on cereals, legumes, oil, and wine. Meat was a luxury for most people. Gems: Precious stones were valued in antiquity as possessing magical and medicinal virtues, as ornaments, and as seals when engraved with a device. Hephaestus was the Greek god of fire, of blacksmiths, and of artisans. Ivory plaques at all classical periods decorated furniture and were used for the flesh parts of cult statues and for temple doors. 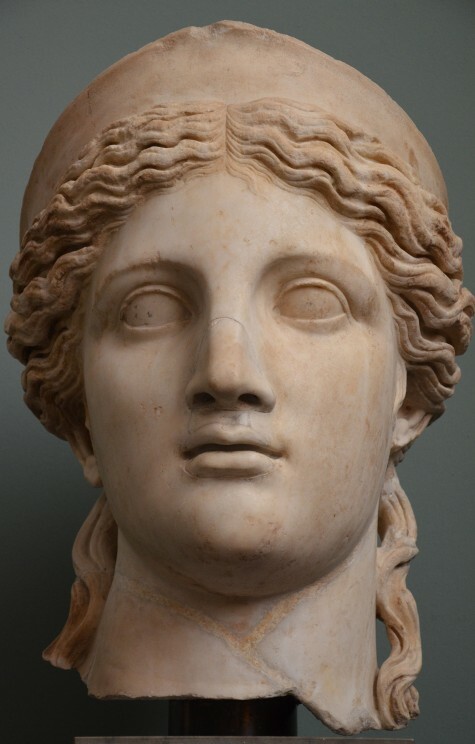 Juno was an old and important Italian goddess and one of the chief deities of Rome. Her name derives from the same root as iuventas (youth), but her original nature remains obscure. Kinship in antiquity constituted a network of social relationship constructed through marriage and legitimate filiation, and usually included non-kin — especially slaves. Libraries: The Great Roman libraries provided reading-rooms, one for Greek and one for Latin with books in niches around the walls. Books would generally be stored in cupboards which might be numbered for reference. Marriage in the ancient world was a matter of personal law, and therefore a full Roman marriage could exist only if both parties were Roman citizen or had the right to contract marriage, either by grant to a group or individually. Narrative: An interest in the theory of narrative is already apparent in Aristotle, whose Poetics may be considered the first treatise of narratology. Ostracism in Athenian society the 5th century BC was a method of banishing a citizen for ten years. It is often hard to tell why a particular man was ostracized. Sometimes the Athenians seem to have ostracized a man to express their rejection of a policy for which he stood for. Plato of Athens descended from wealthy and influential Athenian families on both sides. He rejected marriage and the family duty of producing citizen sons; he founded a philosophical school, the Academy; and he published written philosophical works. Quintilian, a Roman rhetorician, advised that children start learning Greek before Latin. The Roman Empire was bilingual at the official, and multilingual at the individual and non-official, level. Ritual: The central rite of Greek and Roman religion is animal sacrifice. It was understood as a gift to the gods. Samaritans, the inhabitants of Samaria saw themselves as the direct descendants of the northern Israelite tribes of Ephraim and Manasseh, left behind by the Assyrians in 722 BC. Temple of Zeus. Photo by David Stanley. CC BY 2.0 via Flickr. Toga: The toga was the principal garment of the free-born Roman male. As a result of Roman conquest the toga spread to some extent into the Roman western provinces, but in the east it never replaced the Greek rectangular mantle. Urbanization: During the 5th, 4th, and 3rd centuries, urban forms spread to mainland northern Greece, both to the seaboard under the direct influence of southern cities, and inland in Macedonia, Thessaly, and even Epirus, in association with the greater political unification of those territories. Venus: From the 3rd century BC, Venus was the patron of all persuasive seductions, between gods and mortals, and between men and women. Wine was the everyday drink of all classes in Greece and Rome. It was also a key component of one of the central social institutions of the élite, the dinner and drinking party. On such occasions large quantities of wine were drunk, but it was invariably heavily diluted with water. It was considered a mark of uncivilized peoples, untouched by Classical culture, that they drank wine neat with supposed disastrous effects on their mental and physical health. Xanthus was called the largest city in Lycia (southern Asia Minor). The city was known to Homer, and Herodotus described its capitulation to Persia in the famous siege of 545 BC. Zeus, the Indo-European god of the bright sky, is transformed in Greece into Zeus the weather god, whose paramount and specific place of worship is a mountain top. Featured image: Colosseum in Rome, Italy — April 2007 by Diliff. CC-BY-SA-2.5 via Wikimedia Commons. Simon Hornblower is Senior Research Fellow in Classical Studies at All Souls College, Oxford. Antony Spawforth is Professor of Ancient History at the University of Newcastle upon Tyne. Esther Eidinow is Lecturer in Ancient Greek History at the University of Nottingham. 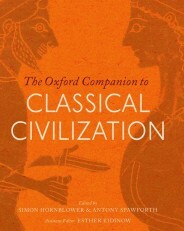 They are authors of The Oxford Companion to Classical Civilization.